Huge thank you to our Ramsdens runners who took part in the Race for Life 5k in Huddersfield, to every single person that donated to our challenge and those that marshalled on the day. 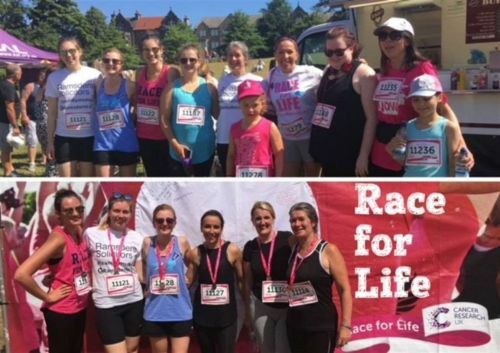 This wasn’t the first time that the ladies at Ramsdens have taken part to raise funds for Cancer Research UK……..and they are already looking forward to next year’s run. Rachael Brook, Partner in our Private Client team said: "Running (or even dancing) your way around any Race for Life challenge always has a great atmosphere and is very moving. We were all humbled to support Cancer Research as we've all been touched by cancer in some way which has meant our all our motivation was even stronger just to get around the course. If you have never run a Race for Life event I would recommend to anyone to give it a go next time. "